Such a cute tutorial! 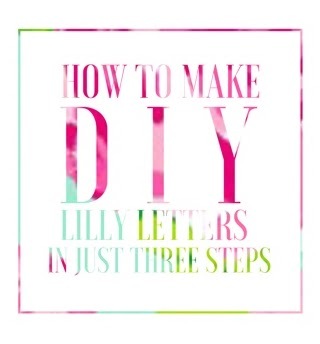 I LOVE Lilly, so I may have to try this out for my room! This is an amazing idea! Such a fun way to spruce up your room! 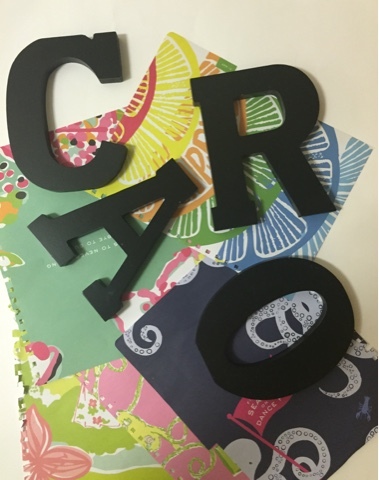 I love loud prints and these letters will fit perfectly in my house (somewhere). I like that you glossed them at the end, it adds a nice touch! This is such a cute idea! I have a 'K' that I purchased from anthro for a pretty penny, so I'm loving this bargain idea that is just as nice! I still have all of my old Lilly planners and wanted to do some type of DIY with the printed pages as well. These look so cute so thanks for the inspiration. I'm definitely going to have to try this. I'm in a brand new apartment that is dying to be decorated, I'm thinking about doing this for my kitchen or bedroom to add some contrast! Thanks for this! This is such an adorable, simple craft idea! It's perfect for little gifts here and there, too. I just got my first Lilly planner, but now I know to keep the patterned pages clean and save them for this, and similar, purposes. Too cute. This is such a cute idea! Can you get the prints online from Lilly's site? Is that a dumb question? Help, I'm clueless! I love these, they came out so cute! I did the same thing for a canvas. I love both outfits, but especially the second one. I don't know why, but I just love the way denim looks with black jeans!! The shoes are super cute on you, I'm glad you bought them! Hi, I have no artistic skills whatsoever so can you come over and help me decorate and do DIY?!! This was so much more simple than I thought it would be! Love this, might need to make some of these for my apartment! My walls are so bare! This is so fun and so easy! Thank you for sharing this DIY...I definitely want to try for my new office! So cute! I had letters on my wall in college, but nothing as cute as these! 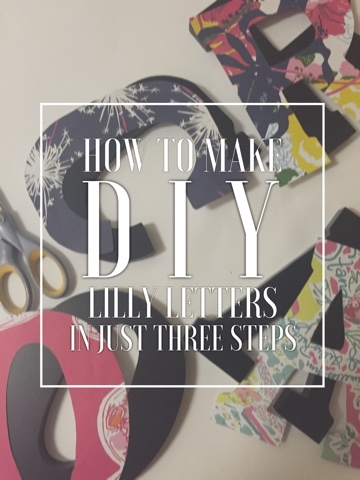 I pinned this post earlier, I've been dying to modge podge some letters but I haven't tried it yet!! 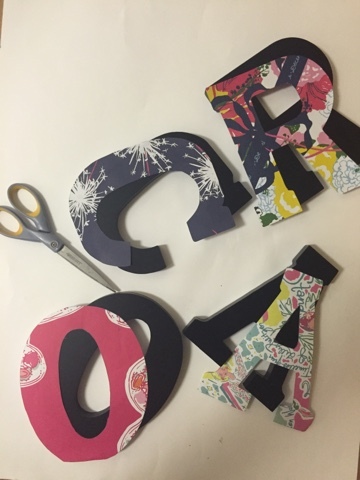 I'm thinking I will do my first initial so I can hang it on my bedroom door in my new apartment. Great post!! Such a good idea! I have a Lilly planner currently, but I'm looking to switch back to Erin Condren or even Emily Ley's Simplified Planner. I must remember to save the paper for DIYs like this! Pinned! I am so glad that I saved all of my old Lilly planners for crafting. Now I know what to do with them :) Great tutorial, love! This is such a cute DIY. I'm so glad I'm not the only one who saves my old Lilly agenda pages. I just bought a Day Designer from the Target collection and I'm so in love I don't think I'll ever go back to a horizontal layout! Wow, this is such a fantastic idea! I think my twin sisters-in-law will love this tutorial for their rooms! Pinning! I seriously want to do this ASAP!